Kim Brandell is a sculpture artist and his latest project is the Neptune Memorial Reef. The man-made reef serves as a popular dive destination, an art piece and an alternative to cemetery burial. Ryan Pfeffer is a Miami-based journalist, and Ben Hicks is a South-Florida based photographer. Pfeffer recently wrote a story for Ft. Lauderdale Magazine about the ongoing threats to sea turtles. According to the article, six of the seven sea turtle species in the world are considered endangered because of factors such as climate change, pollution, human capture of eggs and coastal lights. Hicks photographed the piece. They both joined Sundial to explain what’s being done to preserve the sea turtle population in Ft. Lauderdale. Would you have your remains buried in an underwater city near Key Biscayne? Sculpture artist Kim Brandell created a 16-acre mausoleum on the ocean floor, called the Neptune Memorial Reef. 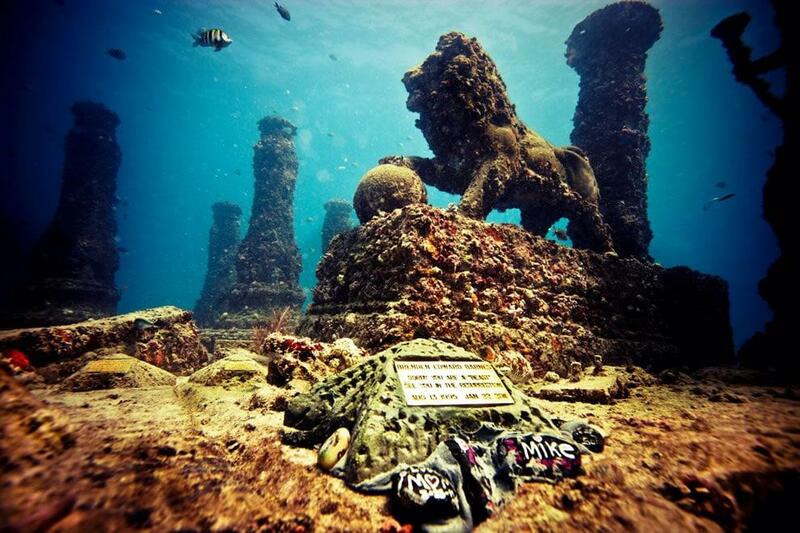 The man-made reef serves as a popular dive destination, an art piece and an alternative to cemetery burial. The second phase of his exhibition is being unveiled today. Brandell joined Sundial to describe the work behind the mausoleum, how it operates and why he was inspired to build it.